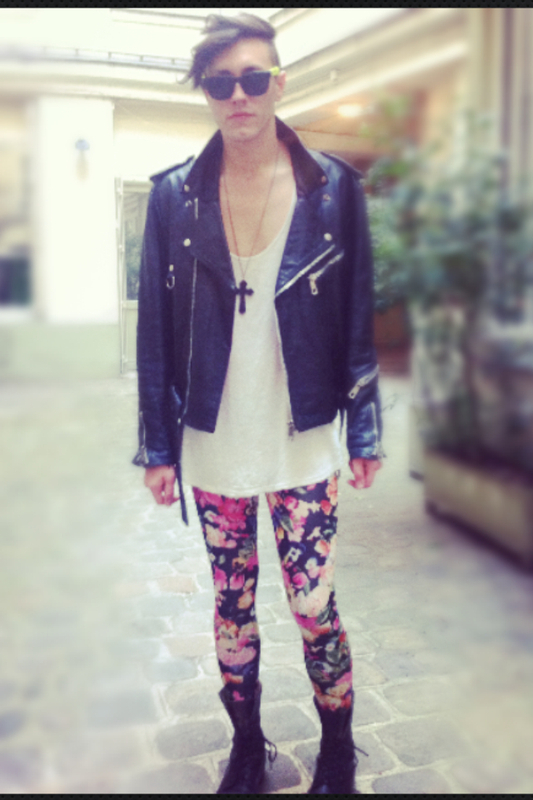 Well done with the leggings and boots - it's a great pairing and you work it well! Those sunnies are absurdly cool. Enough said. WOWOWOWO1!! 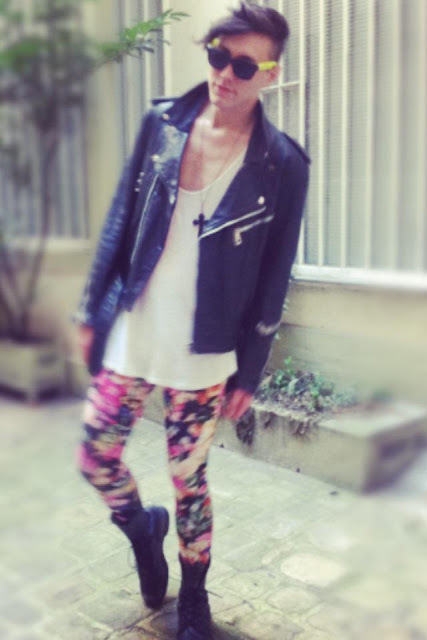 You loooook soooooo awesome! We need to be friends immediately!!!!! Totally digging this jacket! Great mix! I also 100% agree with you about making people look twice. I rocked some black milk galaxy leggings recently and inside I was feeling YES I AM WEARING THE GALAXY. JEALOUS? :) thanks for sharing. 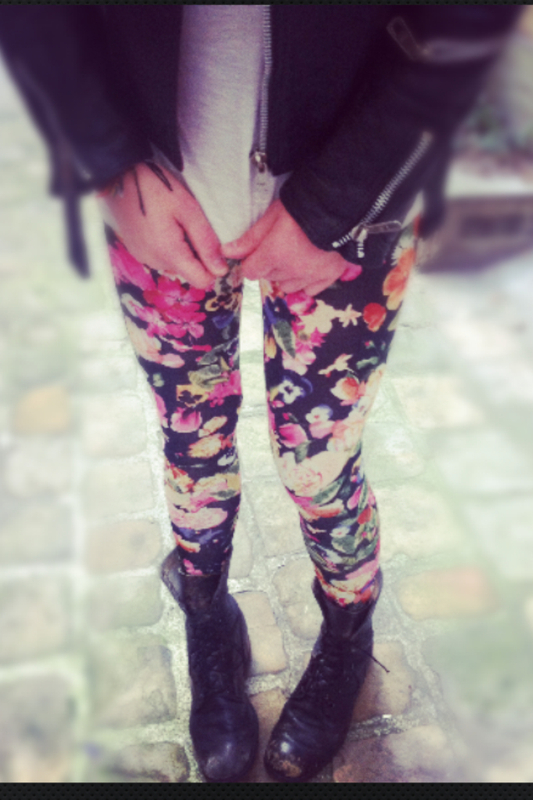 good thing you went for the floral leggings.. you look awesome! 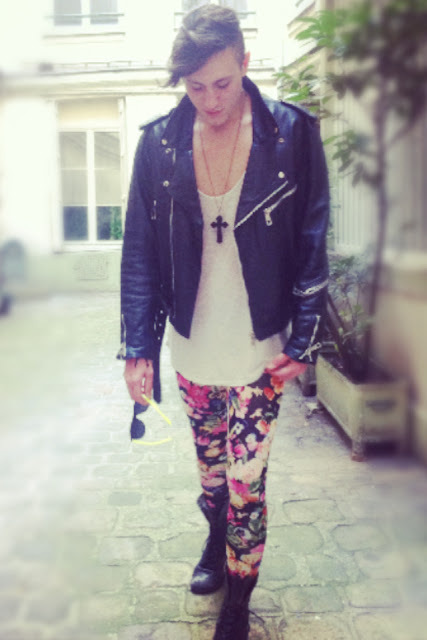 I want that outfit too ha.. insanely cool sunglasses by the way.. killer style! looks great on you, especially with that combination! love it!